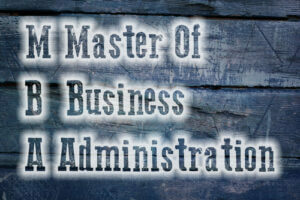 MBA or Master of Business Administration has become an integral part of the education system in India. It is an administration program that helps in facing all kinds of hurdles in your career by developing your skill and sharpening your knowledge. For better career opportunities opting for an MBA program is a great option. It will work like a magical wand that will help you to accomplish the desired goals. Today, it has evolved as one of the most coveted educational programs that can help the pursuer carve a better future professionally. Besides providing the necessary opportunities it also accelerates your career growth. In order to pave way for success the need is to choose the right kind of MBA program. There are various aspiring marketing professionals who lack the required skills to make it big. It is not always how hard you are working; it is also about combining a little bit of everything. Pursuing an MBA degree will help you to gain the confidence required to enhance your personality. As a marketing professional it is not adequate to know thoroughly about your services or product. You should have the confidence and fluency to communicate the same to the other person. You should possess the ability to convince others to invest in your product. Thus, besides knowledge, ability to communicate and convincing skills are equally important. A course in MBA will also help you to sharpen these skills. If you are planning a course in MBA then it is important to choose the right subject. Depending on your interest you can choose for an MBA in Finance, Accounts, International Business, Retail, Entrepreneurship and Human Resource. This is one of the major advantages of taking up an MBA program. If you are planning to start up your own ventures, then this program will prove really fruitful for you. The MBA course will train you in small business management, venture financing and business planning. This will further help you in increasing your knowledge on the basics of business and enhance your expertise. Since it provides details about all the aspects related to the business, it works wonders for the aspiring entrepreneurs. This is another aspect where an MBA degree proves worthwhile. When you are attending a business management school you can easily associate yourself with colleagues, alumni and professors. These connections will help you at a later stage by offering mentoring and association. Signing up for an MBA program helps in opening up vistas of opportunities as far as career is concerned. Even if you are going abroad an MBA degree will definitely prove helpful. With this degree you will be eligible for varied kinds of jobs including MBA marketing and finance, government jobs, etc. You can even apply in the NGOs if that interests you. These business management courses train you in management skills, problem solving strategies, business knowledge and several technical abilities. Such skills will enable the aspiring candidates to deal with business issues at a faster pace. When you have the required skills and connections, you will definitely have better opportunities to earn. On the other hand, when you have better job opportunities it will automatically lead to better chances for promotion, monetary security and more opportunities. With that MBA degree you have a chance to change the world. You can contribute significantly to better economic, social and environmental standards. It can also aid in establishing healthy business practices. Finally, the MBA courses also teach leadership skills and prepare a candidate for the managerial positions in a job market that is full of competition. There are several business administration schools where one can enrol. In fact distant education courses are also available from such B-schools. Author Bio: Charlie is a free lancer content writer. He has written many informative articles on Education, career, jobs etc. In this article, he has tried to give Ultimate Guide to MBA & PGDM by MET League of Colleges.